Use this form to purchase regular passes or Elysia Yoga Retreat Packages online with any major credit cards. 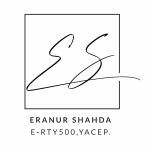 For packaged retreat passes (4, 7, 14 and 21 days) please email era@shahdayoga.com to confirm dates of arrival and departure. Online purchases are in US Dollars. Cash payments are in Thai Baht. For bank transfers kindly email era@shahdayoga.com. Thank you for choosing Shahda Yoga, Elysia Boutique Resort and Greenlight Café & Bar. See you in paradise soon!